Lexus makes its RX premium-midsize sport-utility vehicle a little safer for drivers, passengers, and pedestrians in 2017, which is hard to criticize. It hasn’t done anything to the styling that we here at Consumer Guide® describe as “polarizing,” so those who hate the look probably stopped reading this 23 words ago. CG tested a hybrid RX 450h. If you’re still with us so far you will probably be interested to know that, aside from the added safety monitors, it gets good fuel mileage, offers decent passenger room in a pleasing atmosphere, and doesn’t break the bank. Consumer Guide’s test RX 450h returned a stellar 31.0 mpg in routine testing. The non-hybrid RX 350 we tested earlier averaged 21.0 mpg. Like all RXs, the 450h is a 5-passenger vehicle. 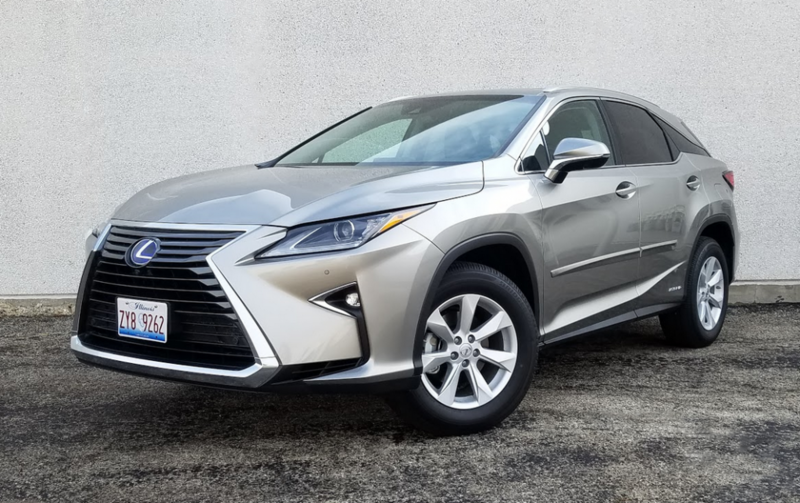 However, with its 3.5-liter V6 and electric motor combination, the 450h produces 308 horsepower, 13 more than non-hybrid RX 350s powered by the V6 alone. Channeled through an automatic-type continuously variable transmission (350s have an 8-speed stepped-gear trans), the 450h presented this driver with 32.3-mpg fuel economy from a 177-mile stint that was 60 percent city-style driving. That squarely outdid the EPA-estimated 30 mpg in combined city/highway driving, and even outpaced the projected 31 city mpg. That said, there’s nothing astounding in the RX’s power output or performance. Hybrid competitors in the class—there are five—generally have more muscle, some considerably so. The Lexus certainly gets around well enough, and Drive Mode Select lets drivers tailor the truck’s operation to the moment. A turn of the console-mounted selector dial to “Sport” mode from “Normal” speeds up throttle response and heightens steering feel, though this reviewer wouldn’t consider either change to be drastic. In addition, there is an “ECO” mode that tamps down power output and climate settings for stingier fuel use, and an “EV” setting that allows driving for short distances at low speeds solely on battery power. The RX cabin is impeccably finished, with near-flawless build quality. Ergonomics are good overall, but some of our testers found the Remote Touch joystick-style infotainment interface tedious to use. Ride and handling are geared toward comfort and ease, and deliver on those counts. With the standard 18-inch wheel-and-tire package, the test vehicle’s fully independent suspension soaked up bumps with little shock, and the serenely quiet cabin was spared the intrusion of much chassis and road noise. The 450h comes standard with all-wheel drive; front drive has been discontinued for the hybrids, but remains available in the RX 350 line. In terms of head- and legroom, the RX will accommodate up to five people without cramping them. Three fit and friendly adults can use the rear seat should the need arise, aided in large part by a minimal floor tunnel. Rear seats recline and slide for added comfort. However, if you are carrying that many people it probably ought be for a day trip—or a visit to a clothing-optional beach. While the rakish cant of the tailgate gives the RX an aggressive profile that’s sportier than the average SUV, it does take away some vertical load capability. If you wanted to carry those rear passengers’ stuff for an extended trip, you wouldn’t be able to bring the rear passengers. To get really ample cargo space, the second-row 40/20/40-split seats have to be folded—a task made easier thanks to convenient release levers in the right sidewall of the cargo area. When the seats are retracted they’re not so flat, and they rest a couple of inches above the level of the flat and wide cargo floor. A hands-free power liftgate is an extra-cost item. The RX’s sloped rear roofline intrudes a bit on its cargo-hauling capability. The second-row seat backs fold down to open up a larger load floor, but they don’t rest as flatly as some class rivals. The leather-upholstered and wood-accented cabin is genuinely luxurious in look and feel. Standard front seats are heated and ventilated, and have 10-way power adjustment. 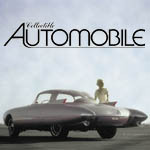 The driver gets memory settings for seat, steering-wheel, and exterior-mirror positions. Other built-in amenities include a 12-speaker audio system, navigation system, 8-inch display screen, dual-zone automatic climate control, push-button starting, tilt/telescoping steering column, blind-spot monitor, rear cross-traffic alert, and Lexus Enform Safety Connect remote emergency notification. Newly standard is the Lexus Safety System +, which includes pre-collision braking, pedestrian detection, lane-departure warning and mitigation, and adaptive cruise control. Driving controls are easy to see, reach, and manipulate—thumb buttons on the steering wheel govern a vehicle-information display between the main gauges. However, the navigation and entertainment systems are dependent on Lexus’ now-familiar Remote Touch infotainment interface. Equipped with a mouselike device on the console that allows drivers to locate and “press” a virtual button for the task they want carried out, Remote Touch works well enough, but there are numerous choices presented on the screen. Getting to the desired thing undeniably requires some driver attention that would be better spent concentrating on the road ahead. (What’s the worry? You’ve got pre-collision braking, right?) Climate controls use a separate bank of numerous buttons, including repetitive-push temperature buttons. Dials would be better. Interior storage is good. In front there is a pretty big glove box and nice-sized covered console box with a power point and auxiliary/USB inputs, long flipper-type front-door pockets, a small open bin ahead of the shifter, a pull-out tray to the left of the steering wheel, and a floor-level bin on the passenger side of the transmission hump. Rear storage consists of small door bins, pouches on the backs of the front seats, a small open space in the back of the console, and a covered bin and pop-up cup holders in the pull-down center armrest. Two open cup holders serve front passengers, and one has a bottom that can be depressed to make more room for taller cups. Thin A-pillars contribute to driver vision that is good to all but the far rear corners. Step-in height is a little elevated but not overly so. The test vehicle started at $53,035, and even with six individual options and delivery folded in, the truck was capped at $57,274. From a cost standpoint, the 450h and its F Sport variant (base price $56,495) are attractive. Four of the competing midsize luxury SUVS are priced thousands higher, and the price of the fifth, the Acura MDX Sport Hybrid, was not released when this was written. That might make the RX 450h look better to all but the most opinionated styling critics. 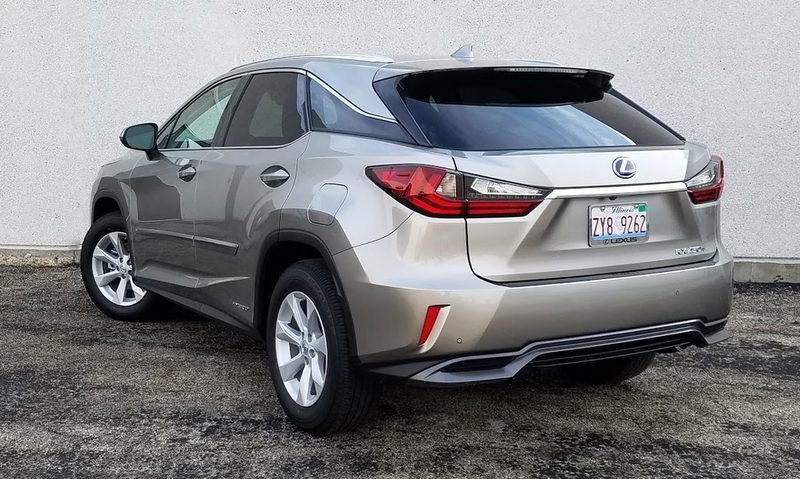 The RX’s basic profile is fairly conventional for a 5-passenger crossover SUV, but its bodywork certainly isn’t. The radical looks aren’t to everyone’s tastes–even on our hybrid tester, which was about as visually subdued as an RX can get. Written by: The Daily Drive staff on March 1, 2017.on March 22, 2019.